Everyone, are you careful about using your chopsticks? Chopsticks (hashi) are a bridge (hashi) between ourselves and food, so using chopsticks well is fundamental to good table manners. Let’s be careful about correctly holding our chopsticks. 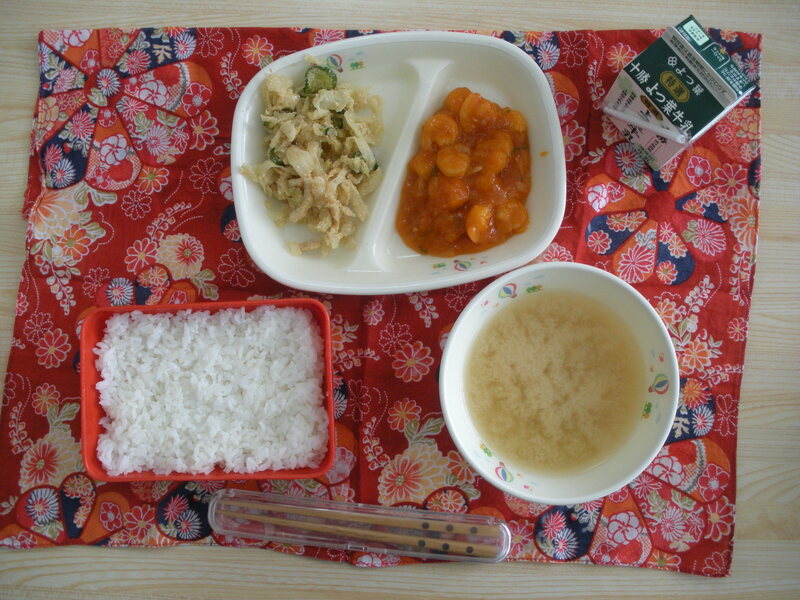 Today’s miso soup was really lovely. 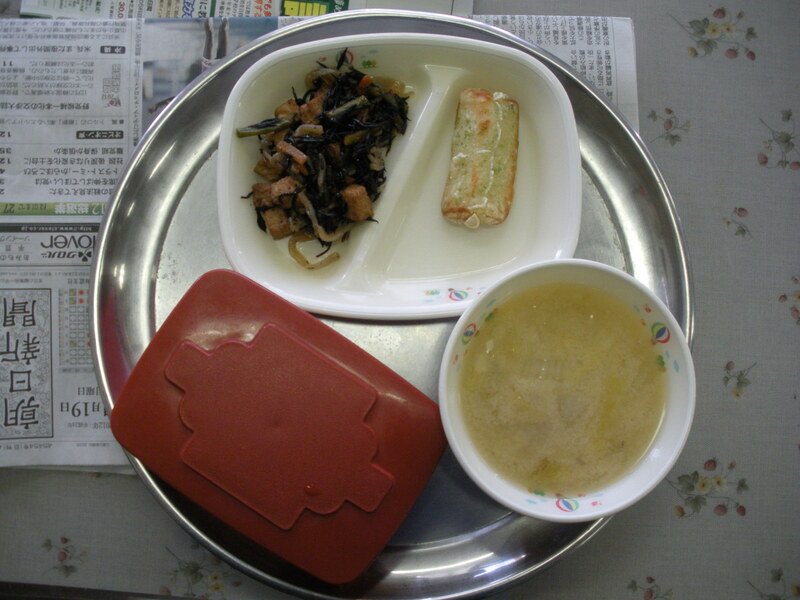 It had a mild taste with the neutral tasting cabbage and carrots, with lots of bean curd to make it taste delicious. 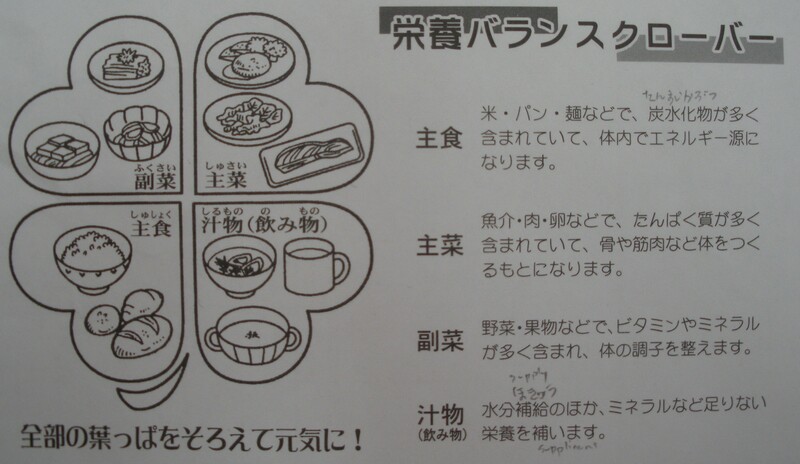 As I’ve mentioned before, Stranger’s Dish is in contrast to Mother and Child Dish (Oyakodon) It has the same ingredients, except it uses pork instead of chicken. Pork, unlike chicken, is no “mother” to egg. Today, I had a sort of interview test with my students. Especially at the school I went to today, the students are really very sweet, but also quite shy and don’t talk so much. So getting to talk to the students one on one in a structured setting like that was nice. But actually, such interview tests are only recently becoming common. 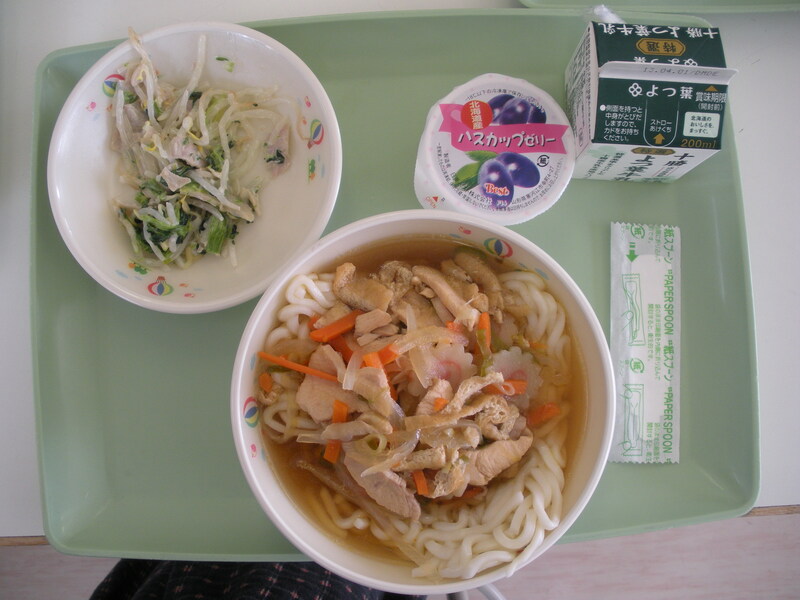 “Kashiwa Udon” is udon with chicken meat in it. 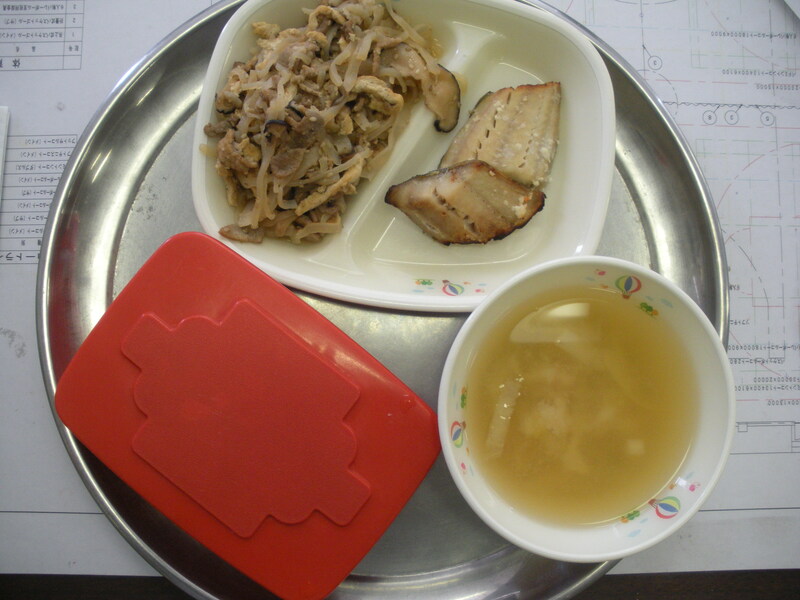 An udon dish from Nothern Kyuushuu, chicken meat is called “kashiwa” there. I like udon a lot. It has a delicious fairly light broth and the noodles are wonderfully soft and chewy. It is just a pleasent food to eat. The other day, I was reading a historical recipe that called for うどん粉 or udon flour. Looking at the market, all the flour was marked soft, medium, or hard protein: none of it was marked “udon”. So I turned to that infallible font of knowledge: wikipedia. And here is what I found out. 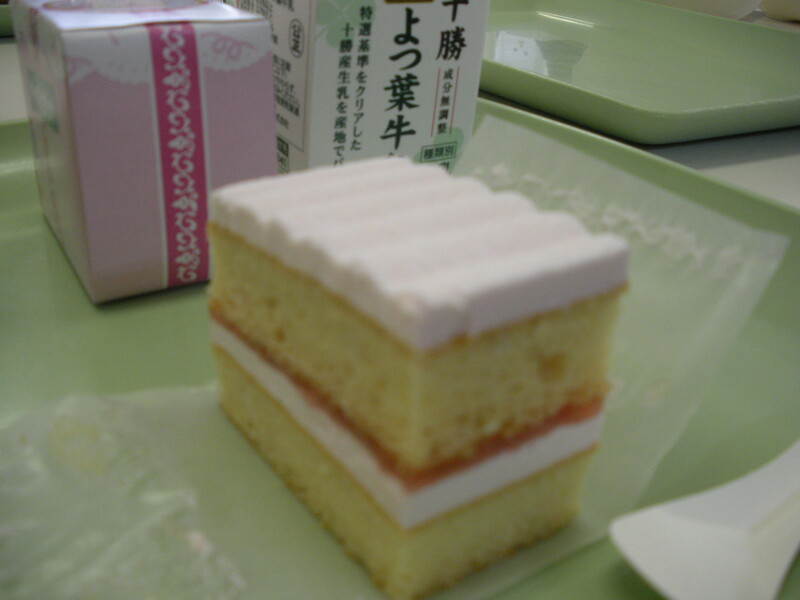 Soft flour was unknown in Japan before the Meiji period and it wasn’t used much until after the war. Hard flour, on the other hand, was mostly used in ramen making. 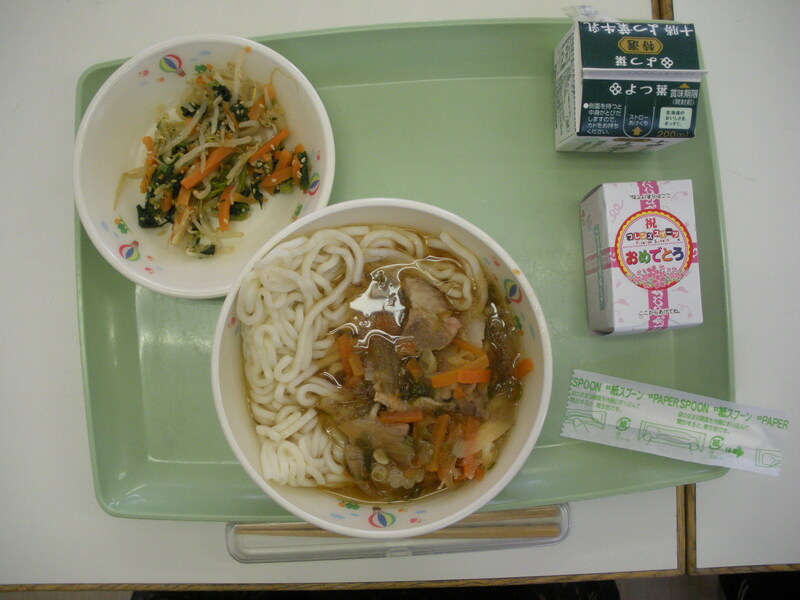 The most popular wheat flour was medium flour (in haole language we call that “all purpose flour”) and since the most common wheat-using dish was udon, this is called “udon flour”. Also of interest was the difference between “udon flour” and “meriken flour”. 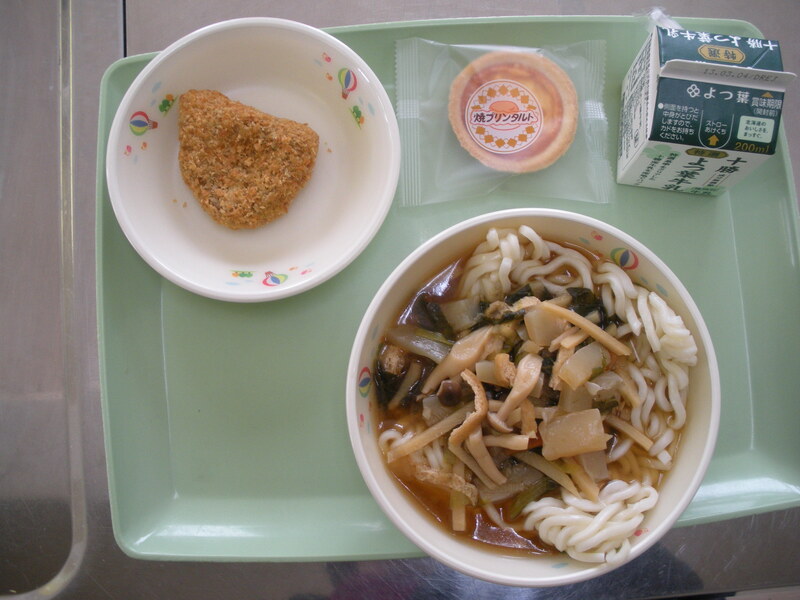 They are both medium flours, but udon flour is grown in Japan and whiter in colour, while merikan flour is an off-white and of course, imported from America. During the cold season, Seven Spice (Shichimi Tougarashi) is a condiment which is required for noodle dishes. The flavour will warm up our bodies. It is a characteristically Japanese mixed spice. Petit chou are mini creampuffs, Beard Papa being the most popular brand in my hometown. But I hate chou cream, especially in cream puffs. Why? you ask. They taste decent, are fairly expensive, and full of elegant French class so there are occasions when they are served to me as a treat. But the yicky milk chou cream make me terribly sick. Yet I feel obligated to eat this specially expensive treat the host so thoughtful bought for me. 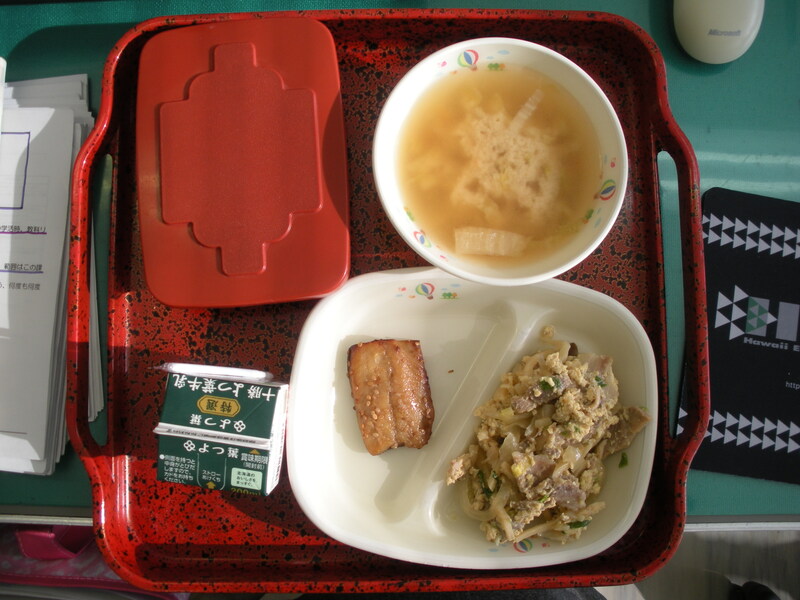 Stonehunt (Ishikari) Soup is a traditional dish of Hokkaido made with salmon. 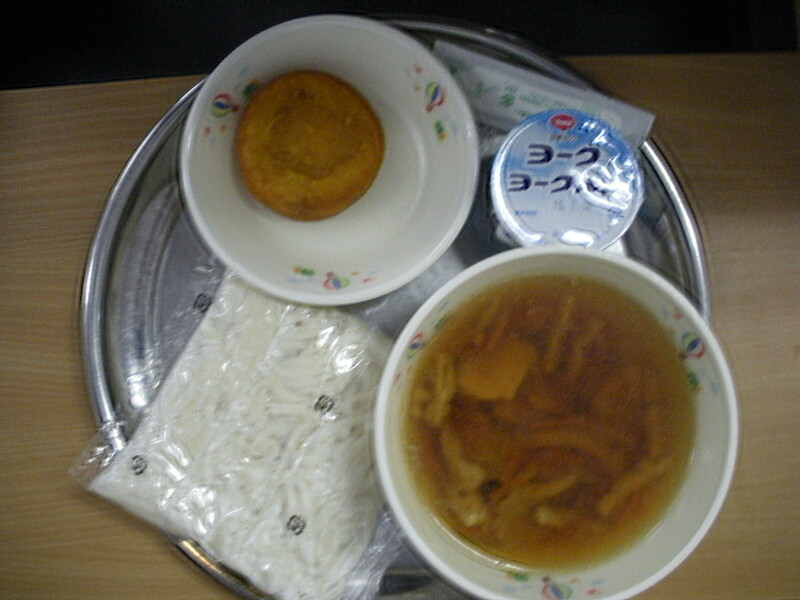 Threeflats (Sanpei) Soup is another Hokkaido dish. The difference is that threeflats soup is a salt based broth and stonehunt soup is a miso based broth. I like ishikari soup and hijiki so much. They are both very tasty. Yum! Yum! I like chikuwa a lot, but it was a little bit oily today. Speaking of chikuwa, lately I’ve been buying this chikuwa with Furano onions mixed in with the fish and it is extremely delicious, straight or on rice. Besides this, it is very low in fat and pretty cheap comparatively speaking. By the way, I always mispronounce the word “salmon”. Most people do not pronounce the “l”, but since all my knowledge comes from books, I tend to pronounce the “l”. Anyway, I reading the other day that reason salmon has an l is due to my beloved Latin! The word “salmon” comes from Latin word “Salmo”. Pork Kimchee and Bibimbap are in the upper ranks of popular rice bowl dishes. What do you like? It is good to pass the lunch chatting about this sort of thing.